In case you weren’t aware, when you are trying to get someone to think a certain way, or to see the value of something that is not already apparent to them, you are ‘selling’ your view point to the other person; the question is, are they buying? I’ve been reading ‘How I Raised Myself from Failure to Success in Selling‘ by Frank Bettger again, and it has both reinforced some thoughts and reminded me of a few important principles. I’m about halfway through my 3rd time reading it, and the first thing that struck me was how I haven’t been applying many of the concepts I’ve read about. This has reinforced my understanding about the value of repetition, and how important it is to be reminded over and over again until we truly understand something and start applying it in our lives. This has proven how important it is for me to be on a Life Leadership subscription where I get a monthly dose of great information; where I can listen to a CD multiple times until the information from it comes to me naturally, without even having to think about it anymore. 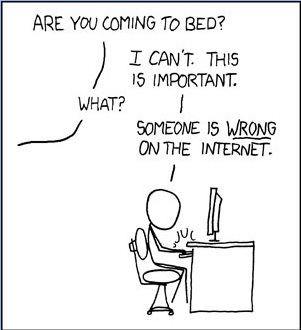 No one wants to be wrong. When someone is wrong, it is highly unlikely they will want to admit it, and will almost certainly not appreciate being told they are wrong. If you tell someone they are wrong, even if they might see some truth to what you said, their brain will probably look for any data that fits with their beliefs. This means that they will entrench themselves even more in their wrong thinking, especially if you couldn’t prove your point %100. The other problem is, even if you did prove your point, they will not like you for getting the better of them. Frank Bettger points out how this includes your facial expressions and posture – don’t show them that you think they are dumb for having a certain opinion. You might as well have just screamed it out loud. Dale Carnegie sums up a couple of his chapters on these points very nicely. So how do you get people to see the truth without telling them they are wrong? Ask questions. If you ask a question that will get them to see the truth without you saying it outright, they stand a much better chance of accepting it. They will probably think they came up with it themselves; and since they are never wrong, this new thought of theirs must be right! A good example of this would be when I was talking to someone about economics, and was being told that inflation was a good thing. Now when it comes to economics, I still have the hardest time following these rules, but this time I did. I said “yeah, it definitely makes the GDP look better, and that’s how economies are measured by almost any expert. But I heard it said once that inflation causes prices to go up without adding any value to the items, and without there being a higher demand. Do you think there is any truth to what some people say about their salaries remaining stagnant while prices rise from inflation?” He came to the conclusion that inflation was not good for the average individual on his own, without me telling him he was wrong. Bettger gives a few other ideas on how to ask questions where you point their wrong more directly, but not completely. He says you can use terms like “Don’t you think…” and I also use “What about the idea that…”. Everyone loves to give their opinion, so if you ask them for their’s, they will be less likely to see it as you telling them they are wrong. They will more than likely see it as you wanting their opinion on a thought process. Just be careful not to ask the question in a condescending manner! Make the question genuine, where you really want to know their opinion and their thought process. The principle is to ask questions so that when they see the truth, they will feel more like they were misled before, and weren’t outright wrong. Help them feel that it was OK to be wrong, and that they won’t look stupid for not thinking right in the first place. As you ask questions, make sure you listen to the other person. Don’t interrupt them, as this will make them feel you don’t value their opinion. If you don’t value theirs, why should they value yours? Keep them talking as much as possible, interjecting with well-placed questions once in a while to steer their thinking if need be. Especially in today’s society with everyone being so busy, most people don’t have anyone listening to them anymore. If you listen to them, they will be much friendlier. If they are friendlier, they are more likely to ‘buy’ what you have to say. Up until now I’ve been struggling a lot in these areas; much of that is probably due to feeling superior in my knowledge and not being very humble. I’m sure this has shown in my expressions and that doesn’t help me relate to the people I’m talking with. As true as that may be however, I’m sure the largest portion of my struggles are due to me trying to convince people of what I think is best, instead of helping them convince themselves. If the facts are there, we should be showing the way to them, not forcing the other person to see them. People love to buy things, but they hate to be sold. Let’s go help them buy.